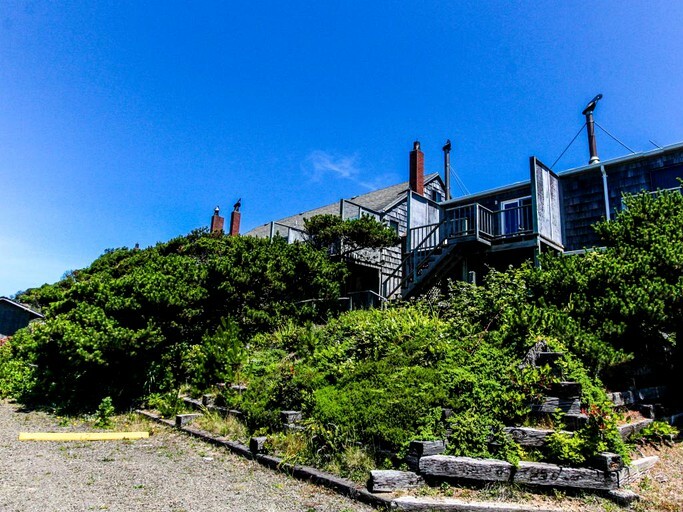 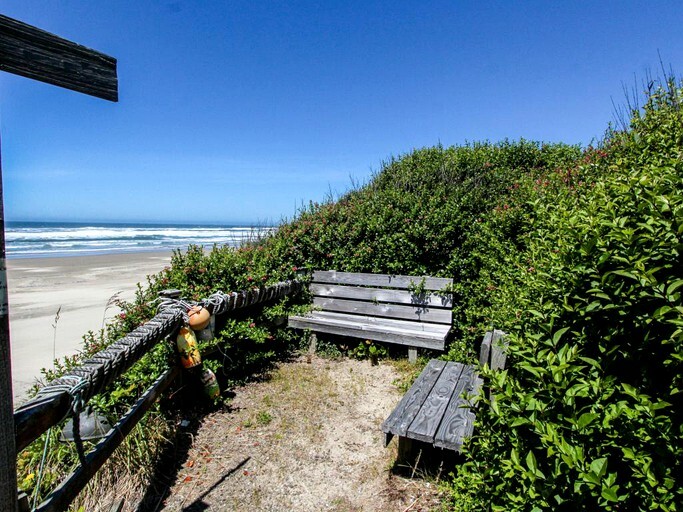 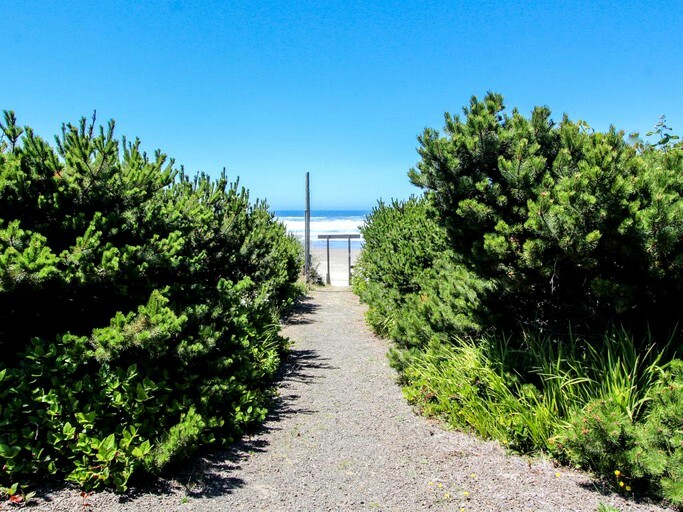 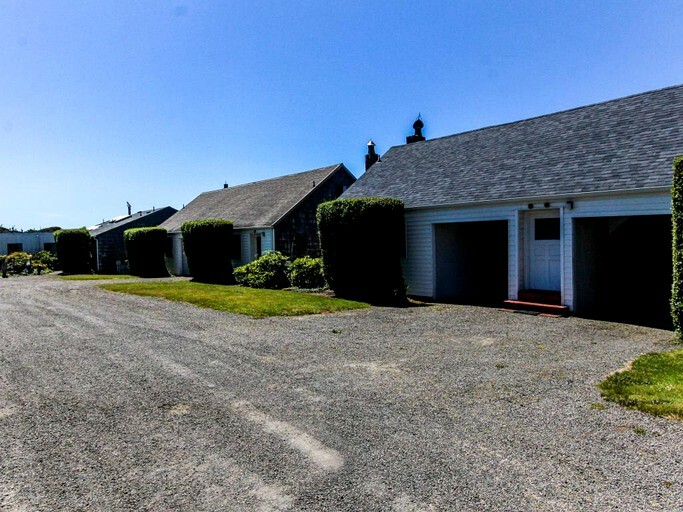 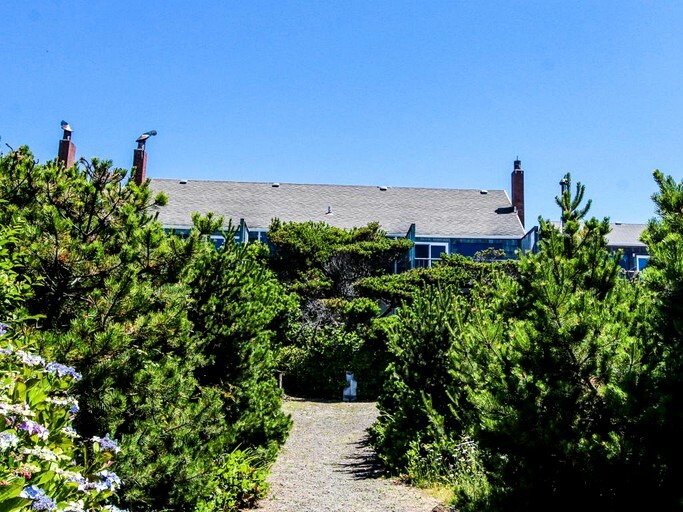 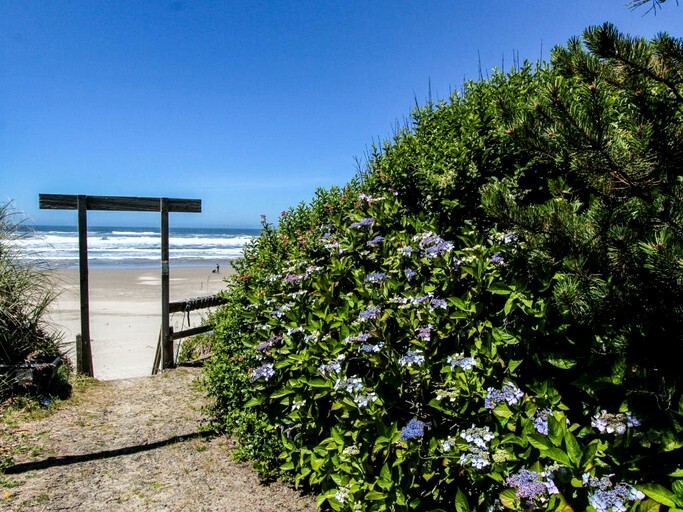 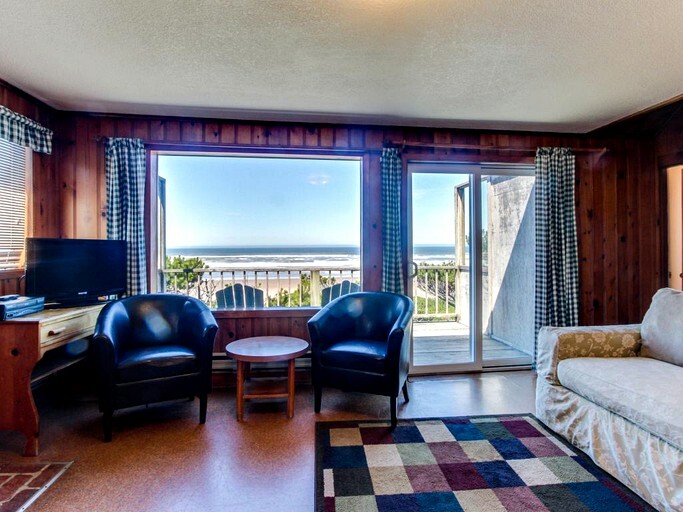 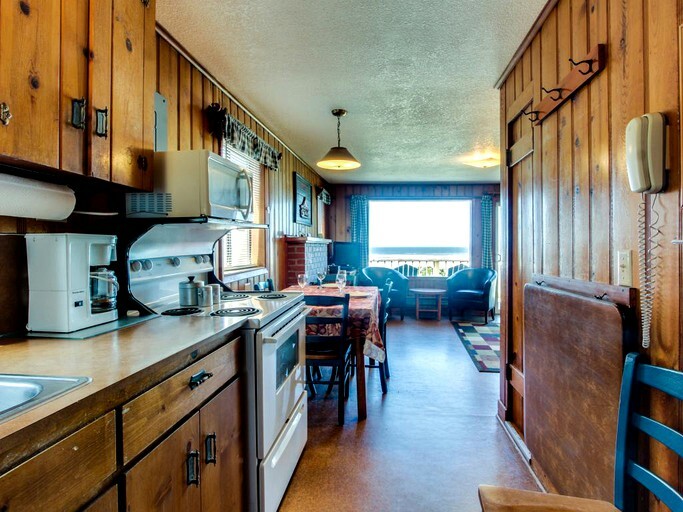 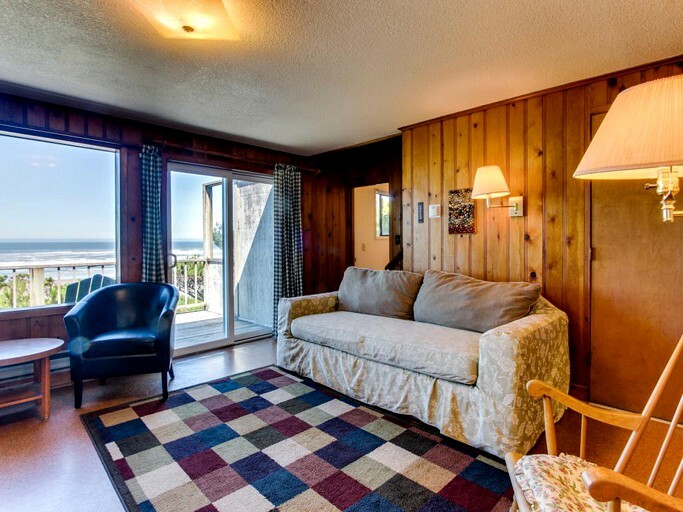 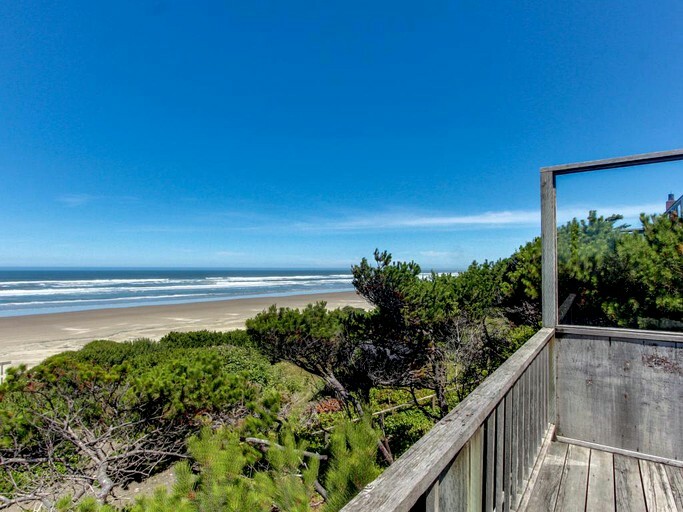 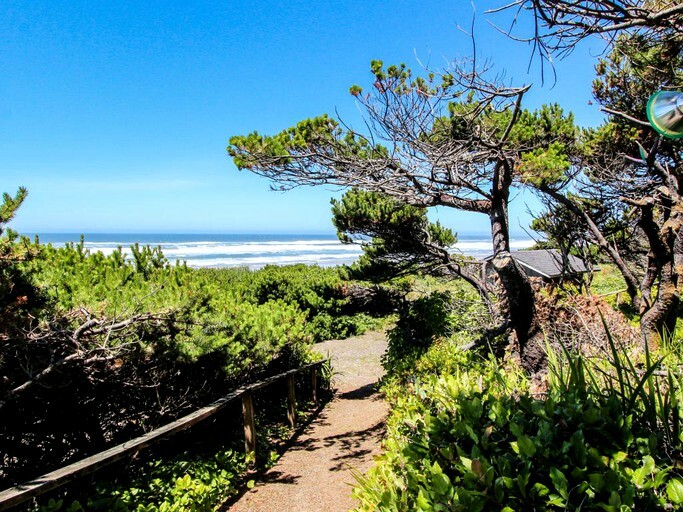 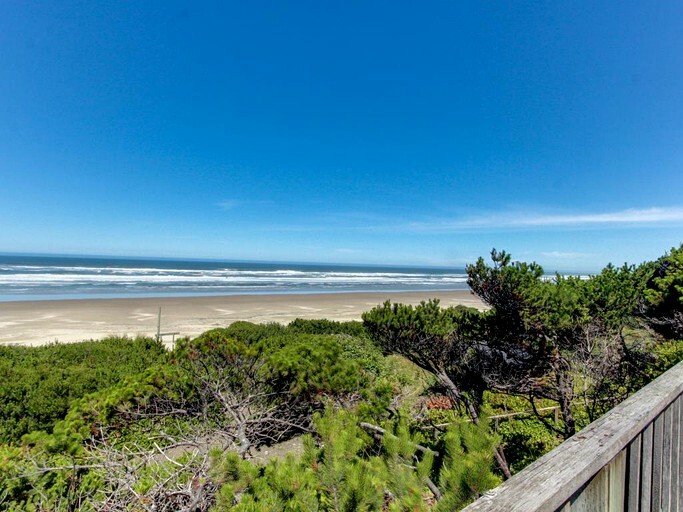 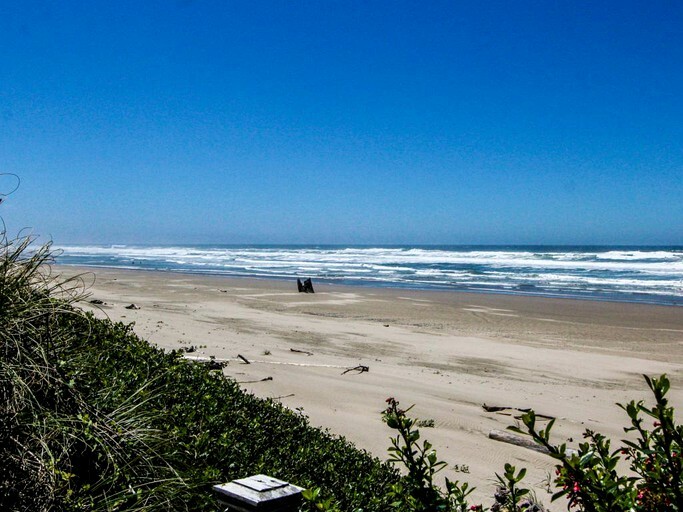 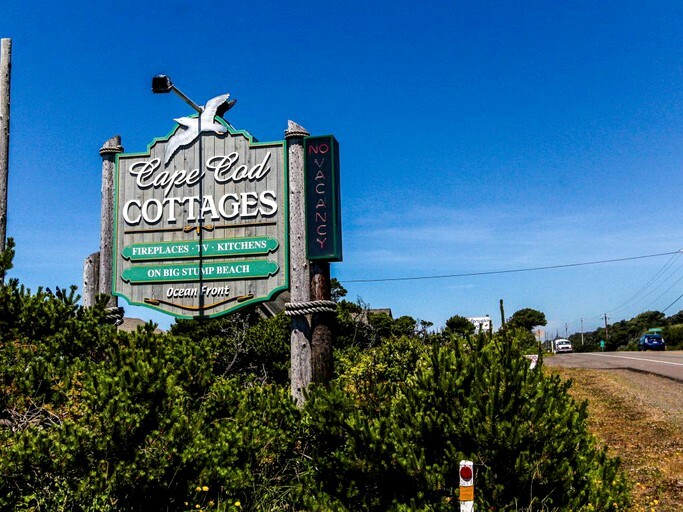 Overlooking the shimmering ocean of the Pacific in the coastal community of Waldport, this homey cottage sits on an outcrop in front of Big Stump Beach where guests can feel the sand between their toes on six miles of shoreline. 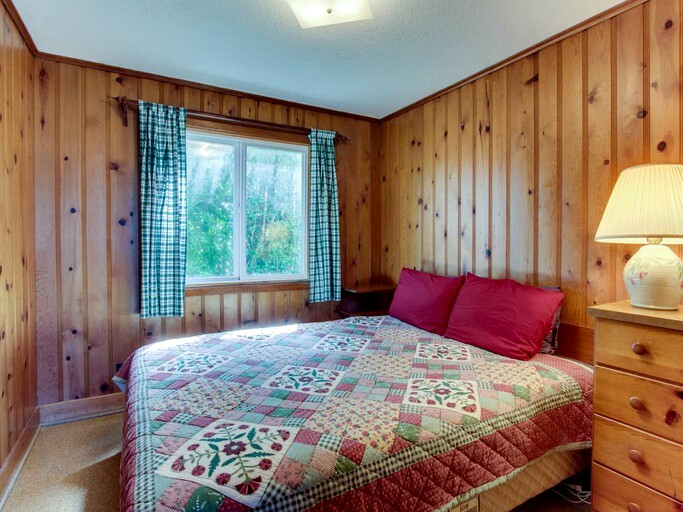 The cottage has a rustic charm about its exterior while inside, guests will feel right at home thanks to its comfortable furnishings and bright décor. 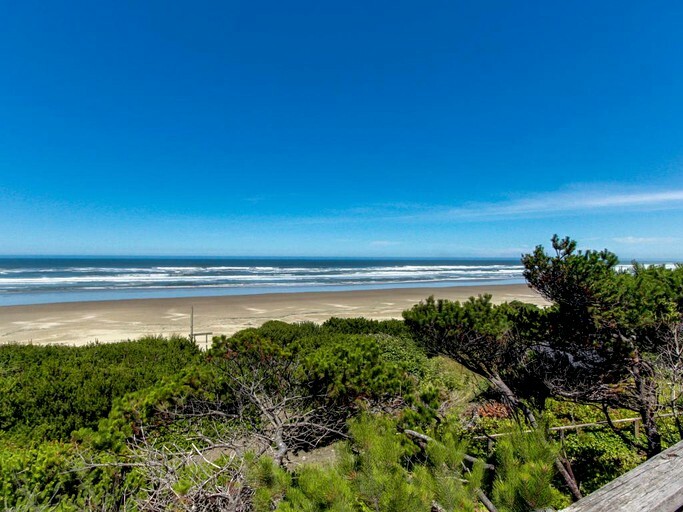 It’s the perfect getaway for a group of friends looking to chill out by the beach while having superb access to the miles of trails at Siuslaw National Forest. 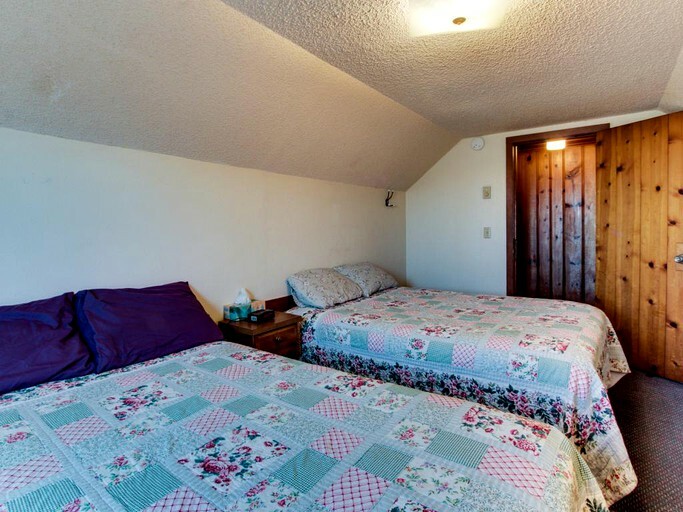 The cottage can sleep up to six guests over its two floors with a queen-size bed downstairs and two double beds in the upstairs room. 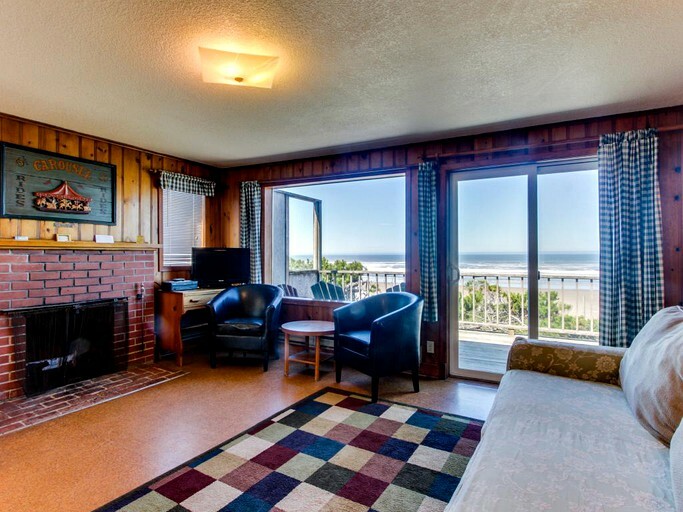 Both bedrooms treat guests to magnificent ocean views while providing a comfortable space to have a great night’s sleep. 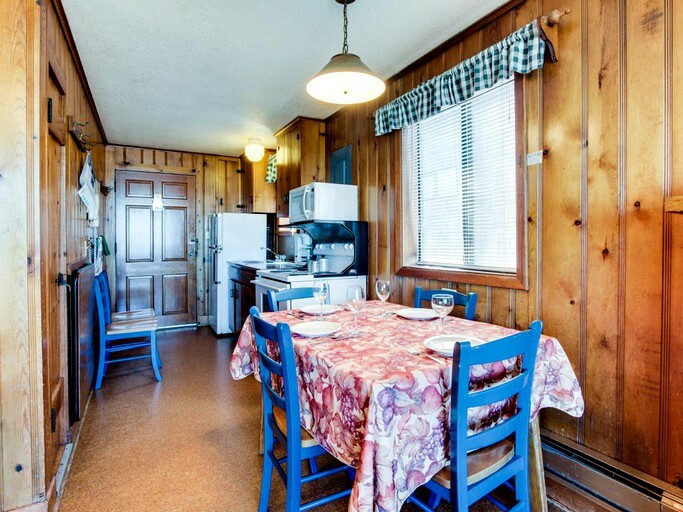 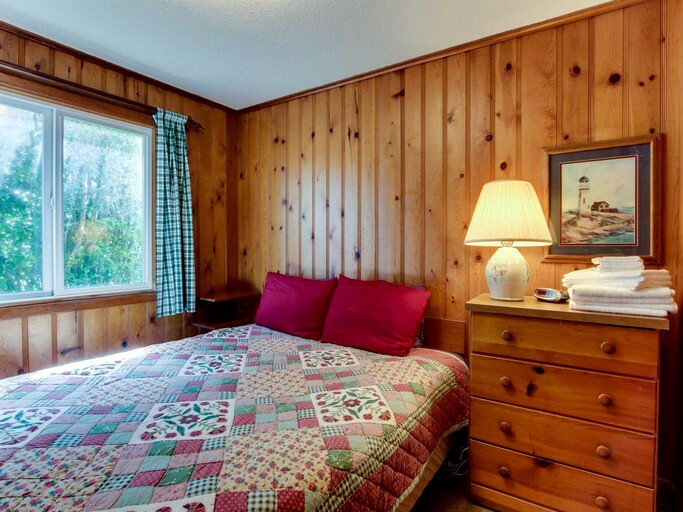 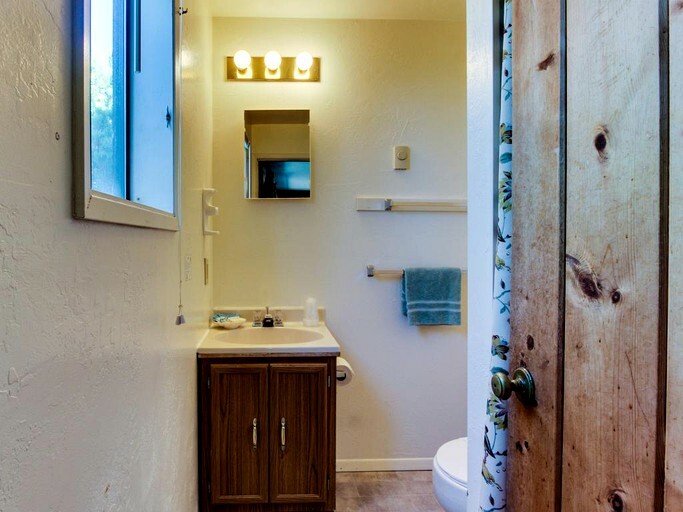 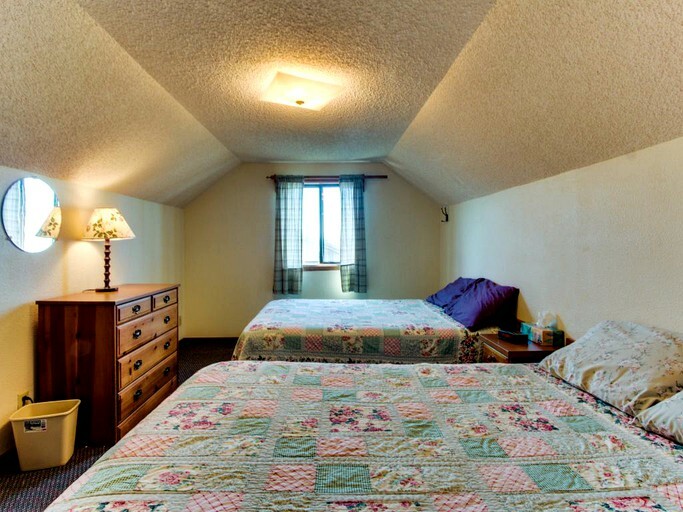 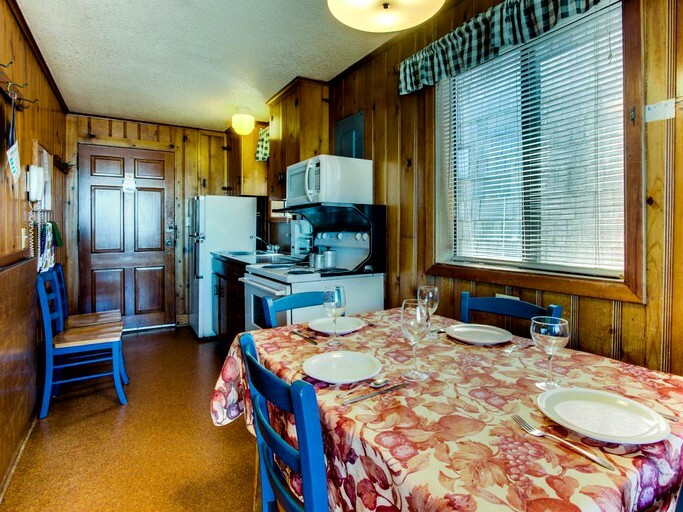 The cottage’s living is spacious and airy with cozy seating in front a brick, wood-burning fireplace and a flat-screen TV complete with cable and a DVD player. 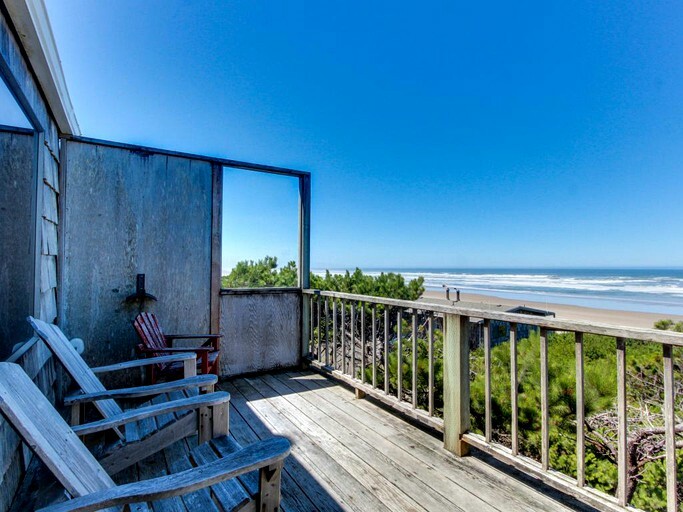 The sliding doors of the living area lead out onto the large deck where an evening bottle of wine can be shared as guests tell anecdotes of the day’s activities while watching the lapping of the waves. 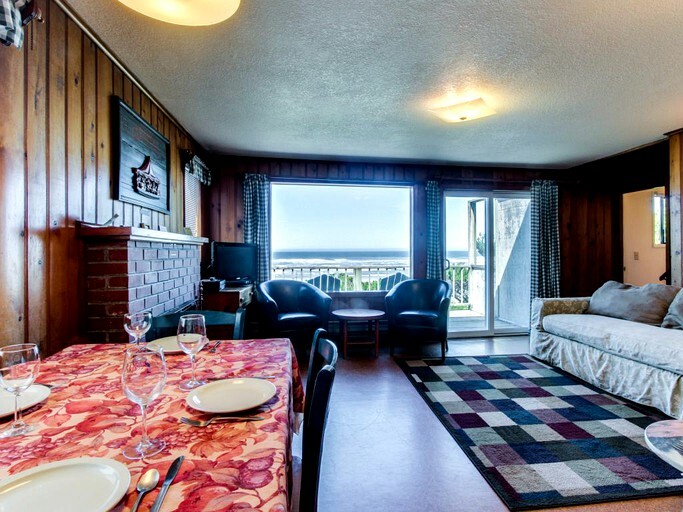 Guests can enjoy their favorite shows on the flat-screen TV as it comes with cable and a DVD player while keeping warm in front of the wood-burning fireplace that keeps the cottage cozy all year round. 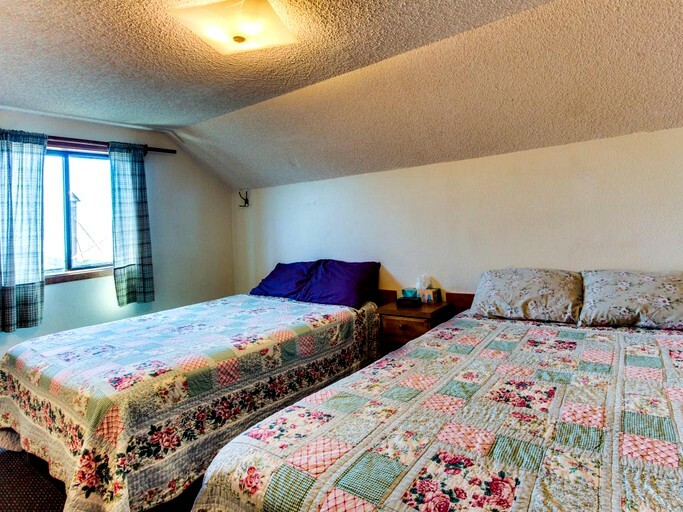 There is free Wi-Fi ad free parking.